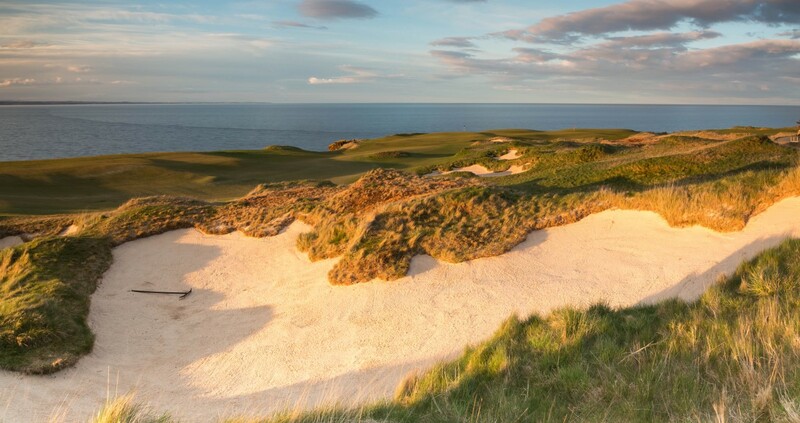 Even though I'd worked for the Links before and knew many of the faces at The Castle Course I was still extremely nervous to be following in the footsteps of Allan Patterson. 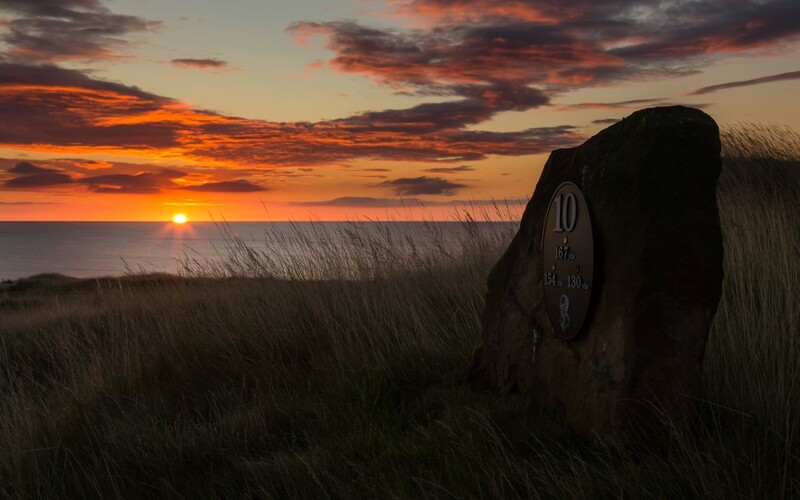 Course Manager at The Castle Course, Jon Wood reflects on an eventful first season back at the Home of Golf having worked here as Deputy Course Manager on the Old Course between 2006 and 2011. So the doors of The Castle Course are set to close for another season and it’s hard to believe I’ve been back for seven months already. This time last year I never thought I’d have the opportunity to work at the Home of Golf again and when I saw the job advertised last Christmas I just had to apply. For my family it’s felt as if we’ve returned home, I met my wife to be Ellie while working for the Links and our son Phillip was born in Scotland. You could say the area holds a lot of ties for me. 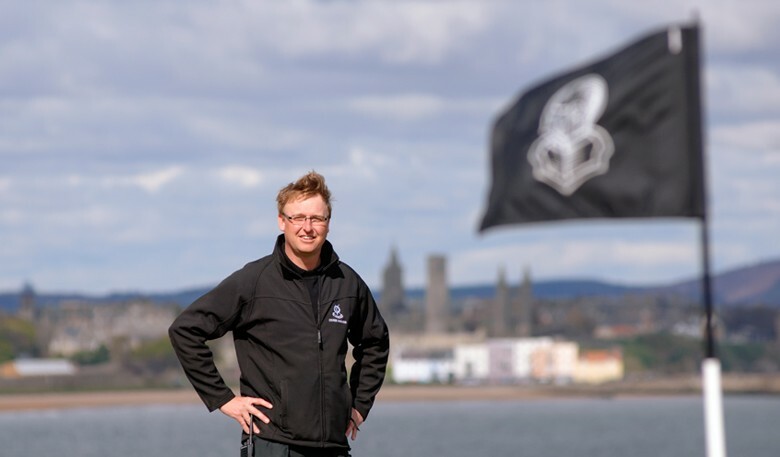 Even though I’d worked for the Links before and knew many of the faces at The Castle Course I was still extremely nervous to be following in the footsteps of Allan Patterson who, with the team, had done an excellent job and had been involved in growing the course from day one. During the season I’ve watched how the course evolved, from the cold easterly winds at the start, to what has been quite a dry summer. You’re constantly learning and seeing how the course reacts to different situations and conditions. This continues year after year, but when you’re new in the job there is a heightened importance at the beginning to study the course so you can learn quickly and improve for the following year. One of my biggest challenges when I first arrived was trying to find my way around. There are access routes for the maintenance crew going off in all directions. After being back a week or so I took Gordon Moir (Director of Greenkeeping) for a trip around to look at certain parts of the course and was promptly told at two junctions I was heading in the wrong direction! Needless to say I now know exactly where I’m going, but I did have some sympathy for the seasonal staff when they arrived. Green speed has also been challenging. 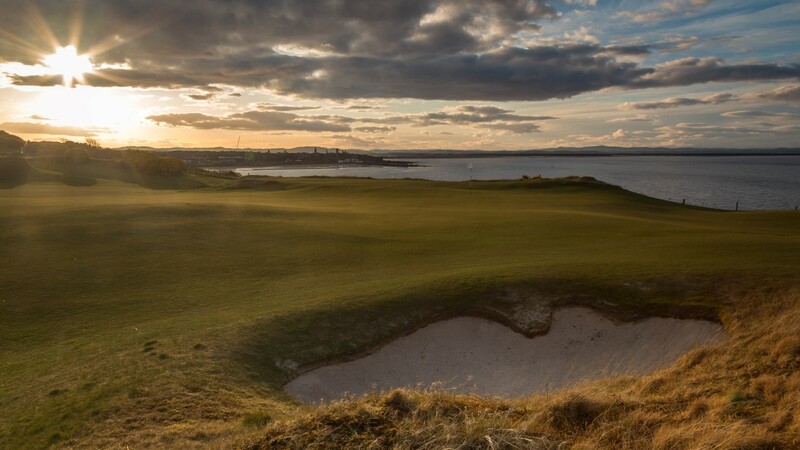 Most golfers enjoy reasonably quick, smooth and true greens, but when the wind blows this combination with the exposed site of The Castle Course greens can make them unplayable. I’ve had to continually monitor them on a daily basis to gain an understanding of what can and cannot be done when certain strengths of wind blow. It’s been a year of firsts, having to do two video interviews. 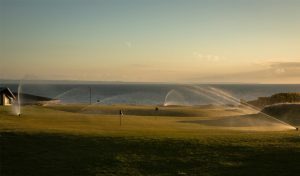 One for our own “Write your own History” campaign and then for St Andrews Links’ machinery suppliers, Toro which was interesting as it was blowing a gale at the time. I only had to do a re-take about five times before we got the desired shot. I also did a live radio interview for the PGA Tour just before The Open which was quite nerve wrecking as it took place in the Old Pavilion with members of the public watching on. I’m sure the more I do the less nervous I’ll be in the future and might even start to enjoy it! Photography is one of my hobbies and working at such a photogenic course with views over the town, sea and mountains beyond has allowed me to capture a few nice images this season. Throughout 2015 I’ve even found myself coming back late in the evening to capture the low light and shadows over the course. Some of the skies have been magnificent to see and that is one of the reasons I don’t mind getting up at 4 o’clock in the morning to come to work. It’s nice being able to incorporate your hobby with work. Returning in an Open year was also amazing, there’s nothing better than being at St Andrews during The Open. 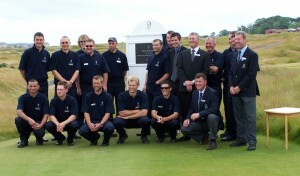 It’s hard to believe five years have gone by since I was heavily involved as Deputy Course Manager on the Old Course in 2010. I thought this year’s Championship was credit to the greenkeeping team who managed to deal with wind, rain and sunshine with a smile on their faces. 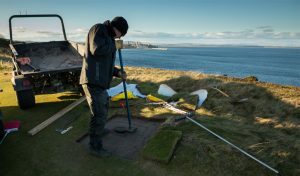 Finally I’d like to thank The Castle Course greenkeeping squad for all the hard work and effort they have put in over the season, they’ve made my transition back to St Andrews very easy. Anything I’ve wanted to know about the course, they’ve been happy to help. 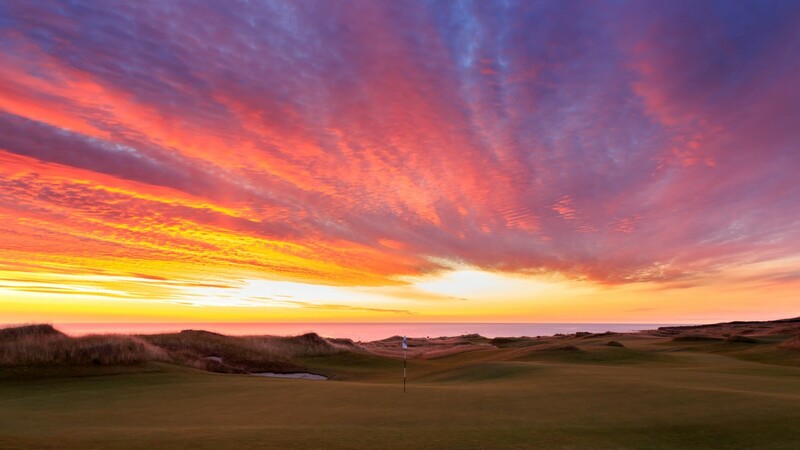 I’d also like to thank everyone here at the Home of Golf who have welcomed me back. I’m now looking forward to the winter and improving the course even further with the bonus of no golfers!